2 × = eighteen Required Please enter the correct value. Just when you thought the very public war of words between activist investor Carl Icahn and eBay Inc. (Nasdaq: EBAY) was about to go nuclear, peace broke out. Icahn and eBay Chief Executive Officer (CEO) John Donahoe announced a truce today (Thursday) in which the notorious billionaire would end his public bid to force eBay to split off its PayPal unit and grant him two seats on the company’s board. In personal conversations over the past week, Donahoe and Icahn instead agreed to make CVS Caremark Corp. (NYSE: CVS) CEO David Dorman an independent director on eBay’s board. Dorman is also a founding partner of venture capital firm Centerview Capital Technology. Both men issued statements as if they suddenly were the best of friends. In several TV appearances, Donahoe shrugged off the nasty – and often personal – attacks from Icahn in recent months. At one point, Icahn wrote a letter to shareholders in which he said “Donahoe's inexcusable incompetence cost eBay stockholders over $4 billion," a reference to how the eBay CEO handled the sale of Skype. But it was all sunshine and roses this morning. "This is a clear win-win for shareholders," Donahoe told CNN International's World Business Today. "Carl saw the real long-term opportunity of keeping our company together." While neither party specified what suddenly brought them together, the prospect of an ugly spectacle at eBay’s May 13 shareholder meeting probably helped motivate the truce. But just because they’re making nice now doesn’t mean the two see eye to eye. Icahn, who plans to retain his 2.2% stake in eBay, did note in his statement that he had not changed his mind, suggesting that he would now pursue a much less aggressive strategy. "I continue to believe that eBay would benefit from the separation of PayPal at some point in the near future and intend to continue to press my case through confidential discussions with the company," Icahn said. “Confidential discussions” means that any future tussles over the fate of PayPal will happen away from the public spotlight. The activist investor agreed to lay off the public broadsides in exchange for unfettered access to board members and some company officers. It was clear from what both Icahn and Donahoe said that they still disagree on whether PayPal should be separated from eBay, but they apparently recognized that the verbal fireworks had done nothing to resolve the issue. The eBay battle adds on to what’s been a tough year for Carl Icahn’s activist investing strategies. Back in February, he relented in his attempt to force Apple Inc. (Nasdaq: AAPL) to carry out a $50 billion stock buyback. 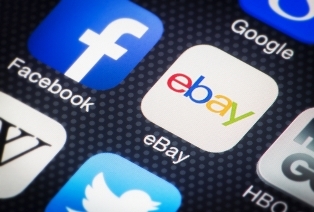 Do you think Icahn will eventually succeed in convincing the eBay board to split off PayPal? Is that even a good idea? Sound off on Twitter @moneymorning or Facebook.